Introducing a new addition to our Cremona White Mirrored Collection. This lovely white corner entertainment unit it a perfect way to add a modern touch to your home. 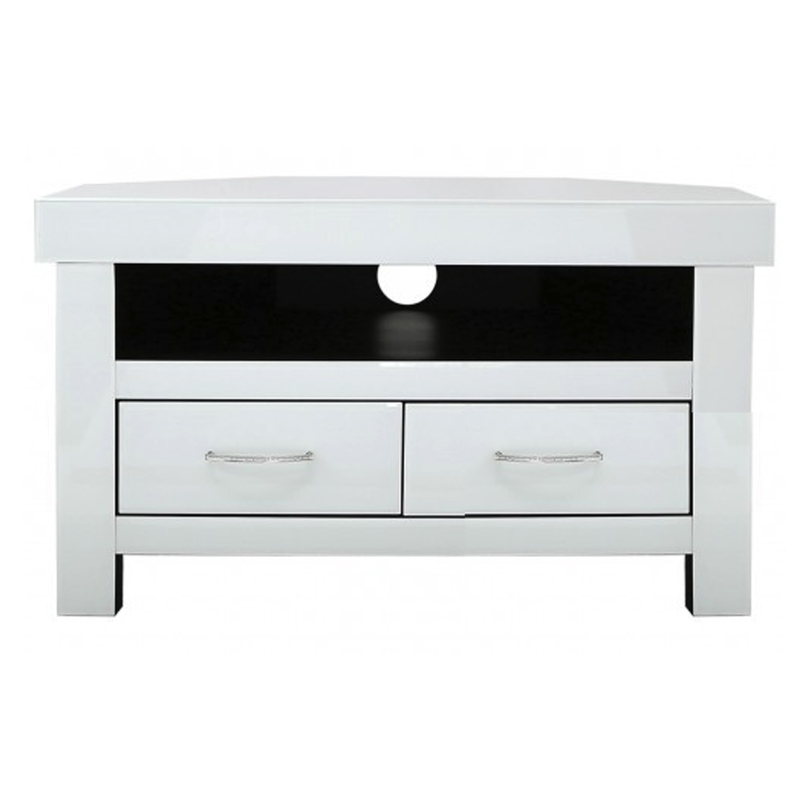 Complete in a white glass and with two large drawers it is the perfect addition to any home.